This saturday I spent a couple of hours by the dyepots together with my dear friend Eddy. I made the (stupid?) decision to let my boyfriend choose colours for the sockwool (70 % merino 30 % nylon) I was about to dye. I ask him to pick five colours, and what does he do? He picks the most differenting dyes that I have, puts them together and claims that this will look greate. 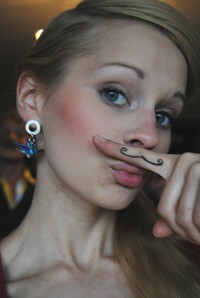 Well..I don't know about that, it will probably look more funny than greate. Anyhow, I dyed 100 gram with the colours of his choice and 100 grams with the same colours accept the coral one, which looked kind of greate. 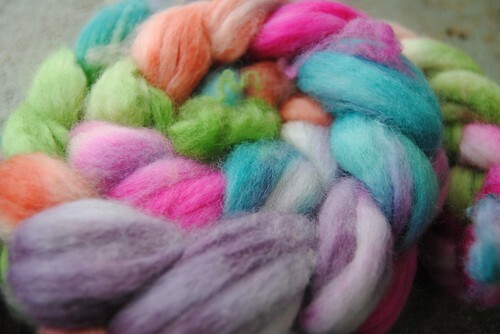 I also dyed some BFL and a secret one for the swap I'm in.. 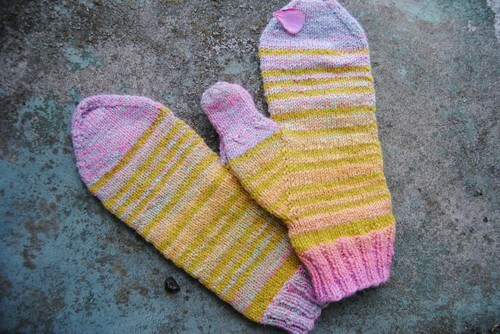 Here are the sockyarns, Looking greate to the left and Philipous to the right, you guess which are the boyrfriendcolours..
A pair of happy-mittens knitted from the My Little Pony yarn and an unknow musterdyellow wool yarn that I got from Elin. 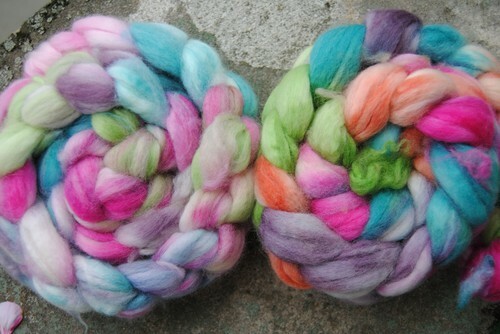 They weigh 60 grams together - 52 grams of My Little Pony and 8 grams of the unknown wool (very little if you ask me). The design is improvised with differenting stripes that consist of either 5 or 2 rows. I think they are gonna make me happy as the days get darker and colder. 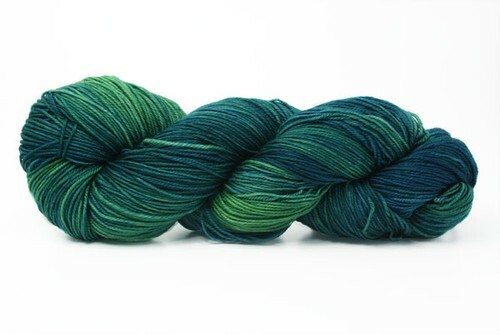 I like that you can sence the silk the yarn by the way that it shines a bit. 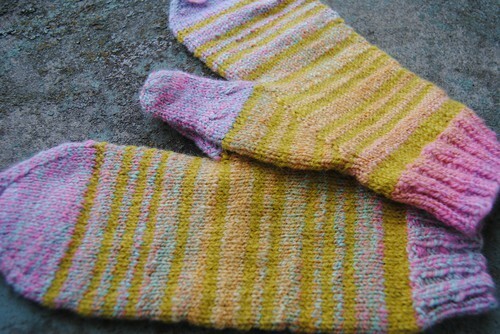 Yesterday evening I finished Through The Loops mystery sock from 2009. 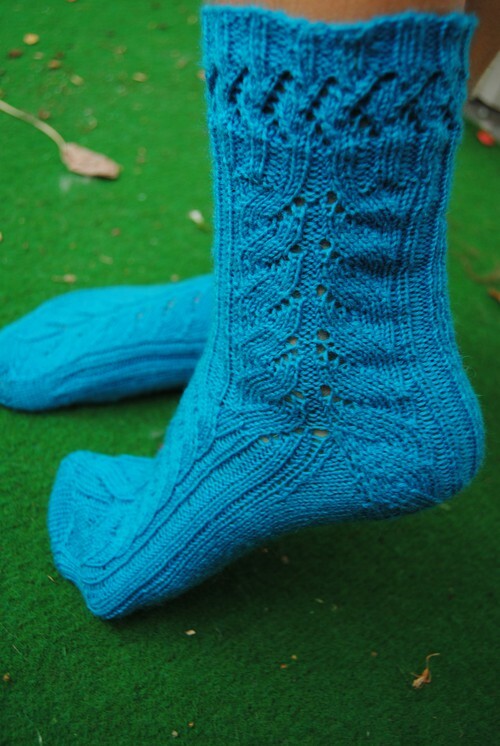 I used 64 grams of Drops Fabel sockyarn and they are shoesize 39 (eu). Since I've been quite busy lately there hasn't been much time for blogging, so here comes a little update on what's going on! 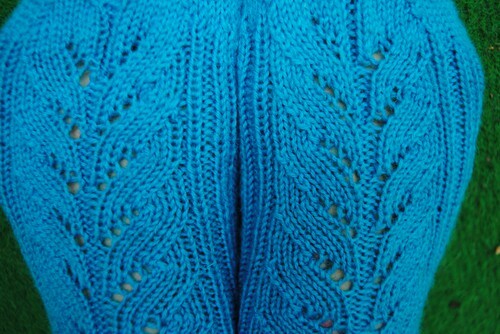 Knitting: A so called "Pippi" cardigan, or a fishermans cardi, made famouse by the Swedish childrens author Astrid Lindgren who put it on her caracter Pippi Longstockings. 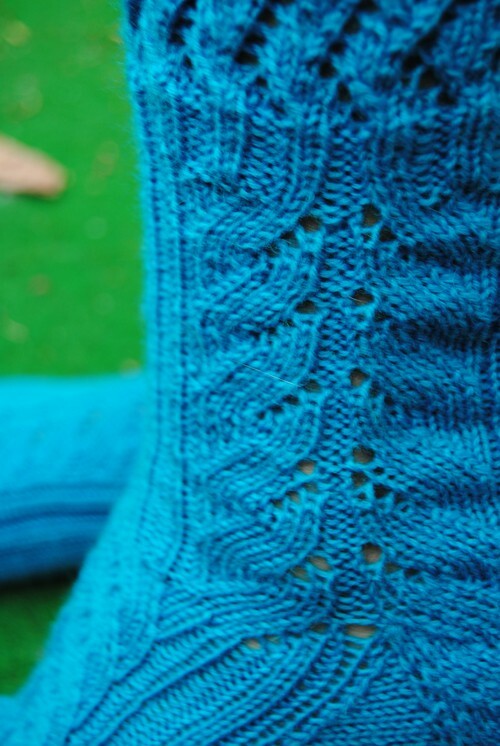 BUT it's a no good pattern which have made me have to order and wait for more yarn when having only half of the two arms left..
Also knitting a pait of mystery (mystery's already out since long time) that I find among Through The Loops patterns, for free on ravelry. And they are soon to be finished! School: I'VE FINISHED MY THESIS TODAY AND I'M PRESTENTING IT IN TWO WEEKS! And I applied for a scholarship today which I really hope to get. 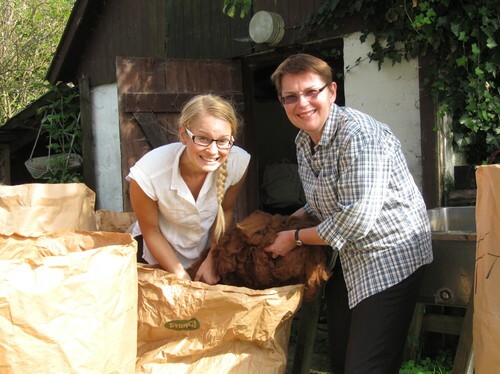 Work: Still going strong in the school garden and at the plantretailer. Only three weeks left. Plants: I've been a good girl and "potted" all my special geraniums today so that they are ready to come inside. Harvested the last of the beans, a couple of polcabeats and a red cabbage in my kitchen garden and a bunch of cherry tomatoes from the green house. AND I have a butternut pumpkin rosting in the owen which I'm gonna transform into a heavy and warming soup after posting this. 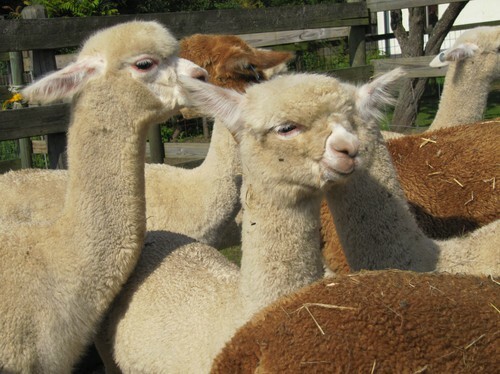 Wool: Today I'm gonna sort the last alpaca fleece. So then I have two light brown, three white, one fawn and one red-brown sorted fleeces that are waiting for my karder to arrive from Holland. I'm also spinning some norwegian wool I dyed some weeks ago. 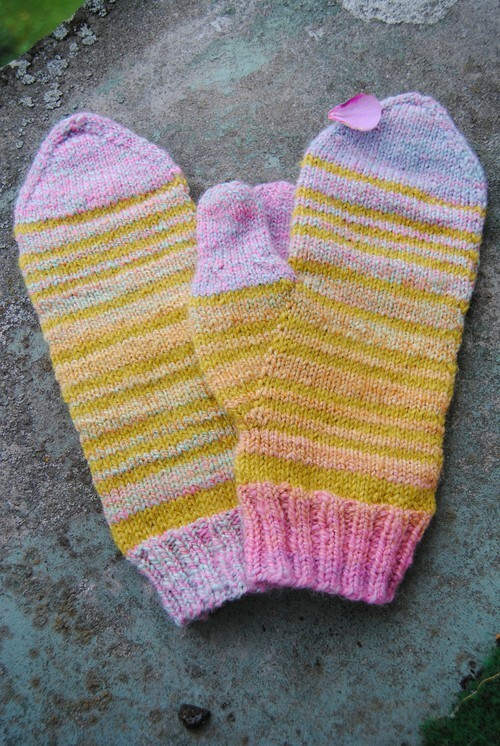 The beautiful Malabrigo Sock Soils that I ordered from Garnkorgen - where the picture also is borrowed from! 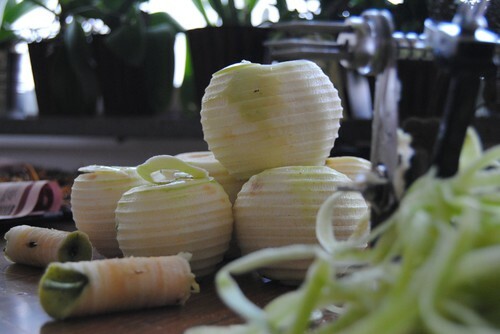 Aunt Hulda is a applepeeler, deseeder and slicer - it all happens in just a few seconds! 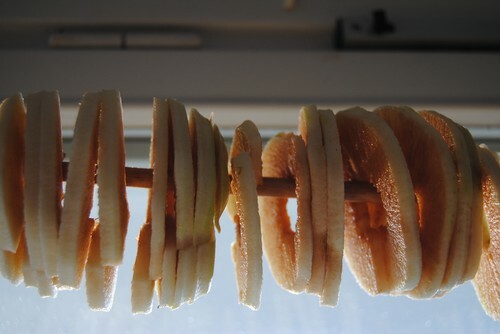 For those who loves dried apples this is the thing! My friend Jenny (who is the greatest jewellery designer) lend it to me and gave the a tip about the best webpage in the world (or in Sweden at least) for us who love to fill the cuppord with home made jam, pickled vegetables, cordial and so on. 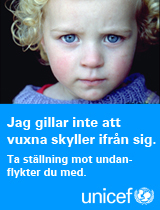 There Aunt Hulda is avaliable for only 199 swedish crowns! HERE you can see and reed more, but not in English I'm afraid. 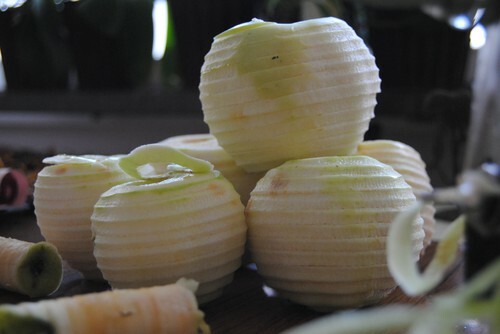 After letting Aunt Hulda taking care of the peeling, deseeding and sliceing all I have to do is to thread the apples on a stick, cut through - sorry, but Hulda can't do everything - half of the apple and put them at some distans. Then hang them somewhere nice to dry! 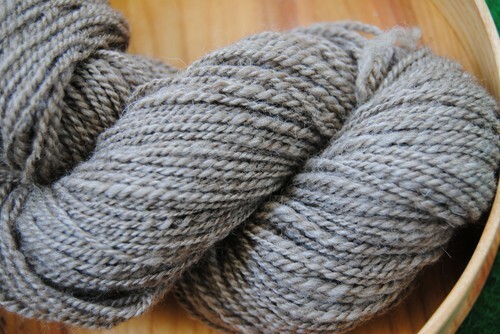 For my friend Jessica, whos cherrytree I plundered this summer, I spun a 2-ply, 168 meters, fluffy oatmeal BFL yarn. Jessica likes colours likes this one, simple, naturlike so ofcourse that is what she gets for letting me eat half of her cherries! It's not perfect, some hinkys here and there. 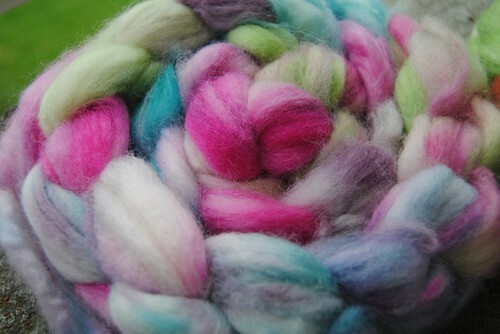 I think BFL is hard to spin with long rows and therefor more difficult to get perfectly even. Buuuut it's also because of different amout of twist. Wellwell, I think Jessica is gonna appreciate the homemadefeeling! This morning I went to my kitchengarden to pick so cucumber for my dear friend Eddy who just got back from Mexico. 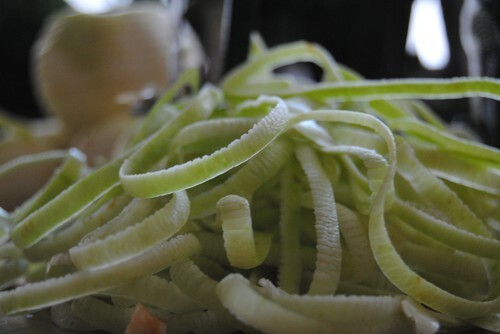 She - like me - loves pickled cucumber and I promised to bring some for her. Anyway - what I found was a GINORMOUS cucumber that I must have missed the last time I picked. 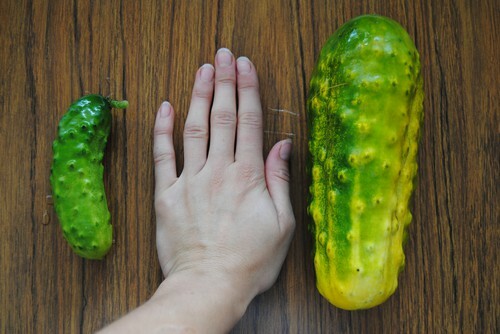 I did'nt know this type of cucumber could get that big. And I must say that I kind of regret that I picked it, it would have been fun to see how big it could get. But I'm afraid it's no good for eating. At this size the seeds are almost fully developed to it more for fun. To the left you can see a normalsized cucumber - the size they are when I picked them, in the middle my hand and to the right mr Ginormous cucumber. This is for you Eddy! I just love the autumn - starting to put on the new shawls, cute little mitts, trying out the coats AND the best of all - MUSHROOMS! I've loved picking and eating mushrooms since I was a little girl. We have some really good places back home where we spent many hours every autumn looking for mushrooms. 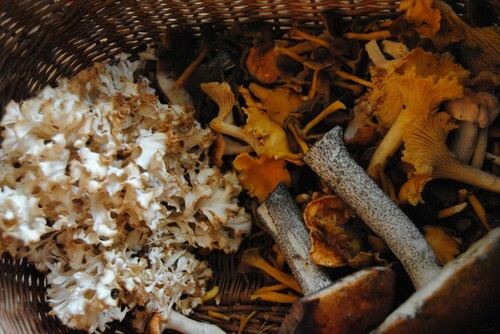 Last year me and Philip went out in Mariestad, just for fun, to see if we could find any mushroom - and did we find some! The first time we went out three days in a row because there was so much. And this year is no diffrent. I'm a bit "braver" now, I don't only go where I now I will find some. It's acctually more fun trying new places. That way I found a whole litre of brown chantarelles - it has probably got a more tasty name in English. It's a chantarelle that is brown, and it has got a hollow foot, and it's perfect for drying. 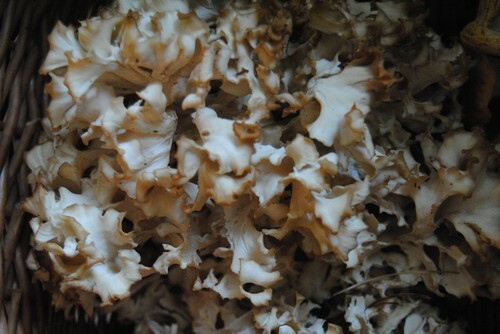 I also found a cauliflowermushroom which looks just like cauliflower. 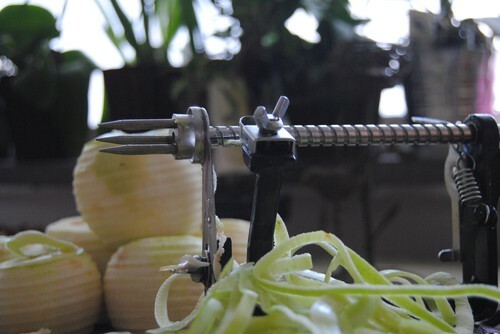 It has got loads of hollows and you have to soak it in water a couple of times to rinse it. ..and when I start thinking about mushroom I just have to go out and look - what if they are just standing there waiting for me while I'm sitting at home!? My friend Jenny says that you have to belive in mushroom, if you don't belive, they don't exist. Kind of like the deal with ferries, when a person says that he or she doesn't belive in ferries, a ferry dies.. 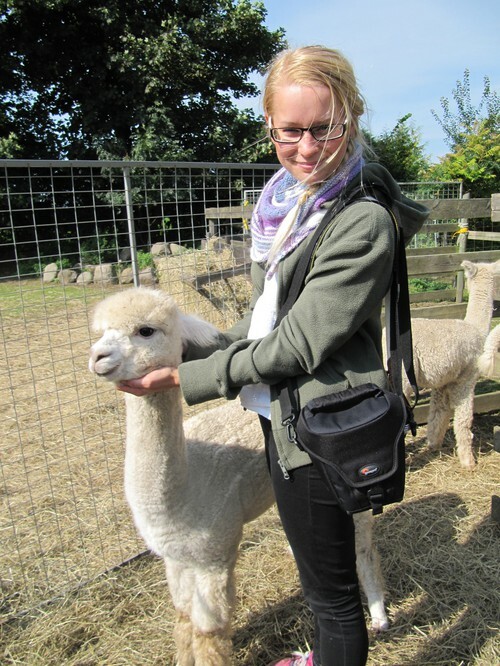 This weekend, when I went to Skåne, I went with my parents to Kusipacha Alpacafarm. The very nice alpackafarmer Leif gave the full guided tour. 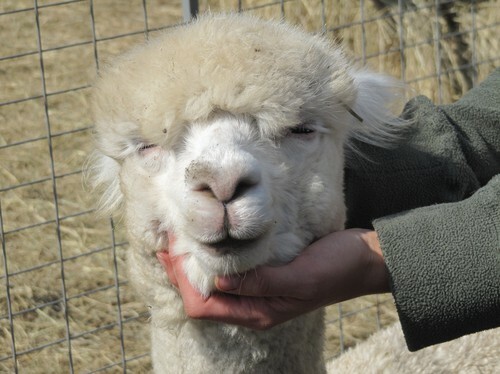 We got to pet the alpacas and ask all big and small question about the life and being of the alpacas. And last but not least - I got to dive in several bags of alpacafleeces, and ofcourse a whole bunch of fleeces came home with me. It was a very nice afternoon and I'd like to thank Leif for taking the time to show us around and telling us all about the alpackas. Now I have alot of work in front of me, washing, sorting and carding/combing and spinning the wool. But I don't consider it work, I consider it A TON OF FUN! 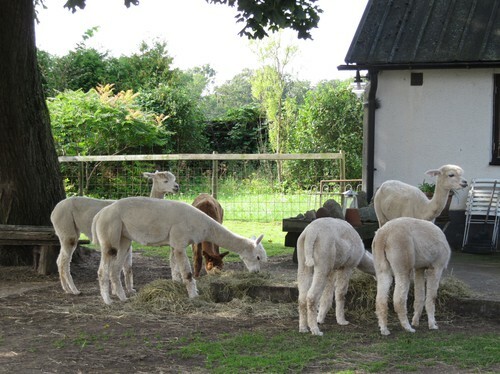 HERE you can read more about Kusipacha Alpacafarm, about the alpaca wool and even buy some very nice wool!